(Singapore, 08 March 2017) Associated Luxury Hotels, the parent company of Associated Luxury Hotels International (ALHI) and Worldhotels, announced today that it has named highly respected hospitality industry executive Josh Lesnick to be its President and CEO. Lesnick comes to Associated Luxury Hotels from Wyndham Hotel Group, where he served as Executive Vice President and Chief Marketing Officer, responsible for all aspects of revenue generation for 18 brands, encompassing more than 8,000 hotels in 77 countries. In his new role, Lesnick will oversee all business operations and subsidiaries of Associated Luxury Hotels, which significantly expanded its global footprint, hospitality services and collection of member hotels and resorts with the recent strategic acquisition of Frankfurt, Germany-based Worldhotels. He will also become only the third CEO in the 30+ year legacy of ALHI history. 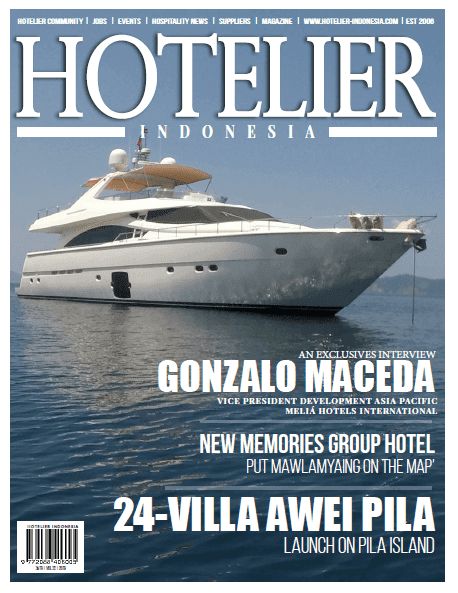 The announcement of this appointment was made by Associated Luxury Hotels’ Chairman David Gabri. Lesnick will assume his new role starting in April and will be based out of the company’s New York City office, and at its headquarters in Orlando, Florida. As the owner and operator of ALHI and Worldhotels, Associated Luxury Hotels is evolving to be a significant, full-service “soft brand” solution for owners and operators of independent luxury-level hotels and resorts, and independent hotel brands around the world. Its extensive Global Sales Organisation (GSO) sales teams and hospitality services now include broad-reaching reservations connectivity solutions, a powerful sales and marketing infrastructure, partnership marketing opportunities, and an impressive geographic reach that will effectively compete in the world’s changing hospitality environment. The company provides an incredible portfolio of solutions for accounts with distribution across the globe, plus a full menu of valuable services and strategic hospitality resources for owners and operators of independent luxury-level hotels and resorts, and independent hotel brands. ALHI is the leading independent Global Sales Organisation serving the North American Meetings & Incentive (M&I) marketplace for its distinguished portfolio of more than 250 luxury-level and upper-upscale M&I-focused hotels and resorts worldwide, plus a Global Luxury Alliance partnership including 23 luxury cruise ships appropriate for M&I programmes, and Destination Management Companies (DMCs) in 100-plus locations worldwide. Worldhotels, acquired in February 2017, is operated as a separate division, and primarily focuses on the transient travel sectors, small group meetings, revenue strategy, training and loyalty solutions for its 350 member hotels and resorts in 200 destinations in more than 50 countries. Worldhotels’ roots date back to more than 45 years. While at Wyndham, Lesnick was responsible for leading a team of more than 1,200 sales, marketing, and call centre associates through a major global transformation that touched all revenue generation functions. This included the roll-out of Wyndham’s new loyalty programmes that earned the #1 ranking in the 2016 U.S. News & World Report for hospitality programmes. He also oversaw the repositioning of the company’s 18 brands, a refresh of its brand websites and online capabilities, and evolved the company’s Global Sales Organisation and revenue management services. Prior to his tenure with Wyndham, Lesnick served for six years as the President and Chief Executive Officer of Audience Rewards, where he led the start-up from its early stage development to a highly successful audience development programme for Broadway and the Arts. As a first-of-its-kind alliance that united the major Broadway theatre owners, producers, ticketing systems, and national arts presenters, the programme now serves as one of the largest performing arts audience development programmes in the country. Previous to that, he was at Starwood Hotels and Resorts as Corporate Vice President of Customer Loyalty, Marketing and Membership Programmes and as Vice President of Hotel Marketing, CRM and Online Marketing. While at Starwood he led the roll out of the award-winning SPG programme and launched the company’s online/CRM field marketing organisation. His hospitality career also includes five years in corporate leadership roles at Hyatt Hotels Corporation where he developed the first desk lamp with built-in power outlet for the growing number of guests with laptops. The appointment of Josh Lesnick as President and CEO represents the second major announcement in a week by Associated Luxury Hotels of a major brand executive joining the team. Last week, the company announced that highly regarded Mark Sergot, the Senior Vice President of Sales from Fairmont Hotels & Resorts, had joined the company as its Chief Sales Officer. 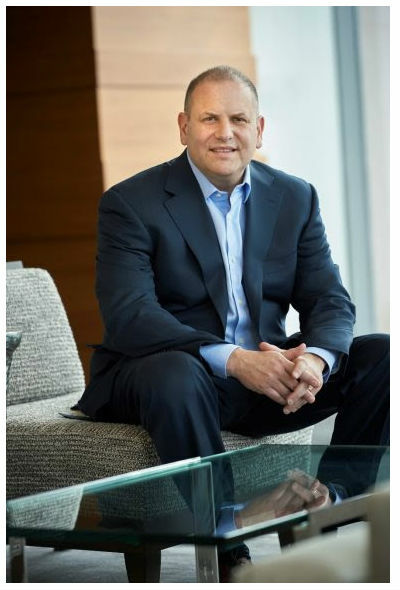 Further, only last year, the appointment of Tom Santora, the former Chief Marketing Officer and SVP of Sales for OMNI Hotels & Resorts was announced as the firm’s Chief Commercial Officer. Lesnick earned a Bachelor of Science degree from Cornell University’s School of Hotel Administration and currently serves on the Board of Directors of Audience Rewards, and the Advisory Board of the Center for Hospitality Research at Cornell’s School of Hotel Administration. 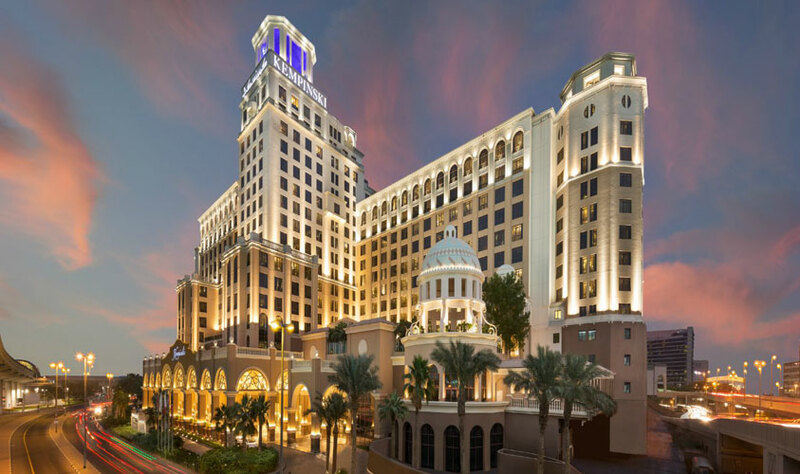 Associated Luxury Hotels (alhworld.com) is the parent company of Associated Luxury Hotels International (ALHI) and Worldhotels. With the acquisition of Worldhotels, Associated Luxury Hotels has significantly expanded its global footprint, and its worldwide sales, marketing, distribution and revenue generation services. As the owner and operator of ALHI and Worldhotels, Associated Luxury Hotels is now an even more valuable hospitality resource for owners and operators of independent upper-upscale and luxury-level hotels and resorts, and independent hotel brands around the world. The company is headquartered in Orlando, Florida. ALHI (alhi.com), established in 1986, is the leading independent Global Sales Organisation with an outstanding track record of serving the North American meetings and incentive (M&I) marketplace, by providing one-call local access for its distinguished membership of more than 250 luxury-level hotels and resorts, and a collective 138,500 rooms. ALHI’s portfolio also features a Global Luxury Alliance partnership including 23 luxury cruise ships appropriate for M&I programmes, and Destination Management Companies (DMCs) in 100-plus locations worldwide. The member dues-funded ALHI GSO has been serving its clientele with an unparalleled variety of M&I solutions around the globe for more than 30 years. Offering extensive GSO sales services throughout the United States and Canada at no cost to M&I customers, ALHI provides valuable services, expertise, local connectivity, market intelligence, and account advocacy. Currently ALHI features 20 Global Sales offices across the United States and in Canada, and also soon will expand with a new office opening in London in late March, and has plans for additional offices in key markets globally. The company is headquartered in Orlando, Florida. The 45-year-old Worldhotels (worldhotels.com) is a global brand that brings together some of the world's most unique independent hotels, including 350 member hotels and resorts in 200 destinations in over 50 countries, with a collective 75,000 rooms. This includes 165 hotels and resorts in Europe, 108 in Asia Pacific, 18 in South America, 12 in the Middle East, 7 in Africa, and 40 in North America. Worldhotels offers its membership of luxury-level hotels and resorts and small competitive brands a comprehensive range of services – including global marketing, sales, training, e-commerce and state-of-the-art distribution and technology. These services provide independent hotels a soft brand solution that allows them to retain their individual character and identity while capitalising on global marketing opportunities targeting the Individual Business Traveller, leisure traveler, meetings and distribution sectors. Worldhotels is headquartered in Frankfurt, Germany.